Pokémon GO has kicked off it’s Lunar New Year Celebration! 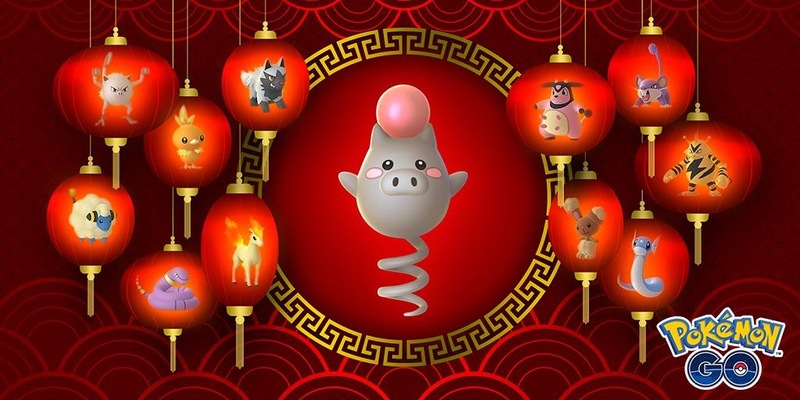 The celebration includes increased spawnrates for 12 different species, Double XP, Increased Lucky rate on trades, and even Shiny Spoink and Grumpig! Find official details below.